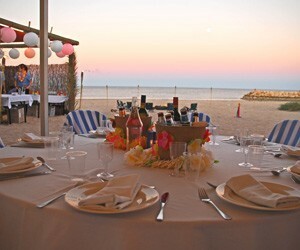 A unique conferences and incentives destination, Mantarays Ningaloo Resort is surrounded by some of Australia's best natural attractions including the stunning Ningaloo Reef and rugged Cape Range National Park. 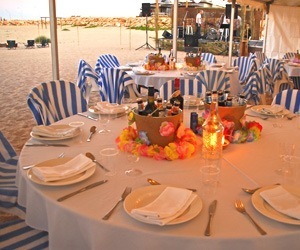 Exmouth itself is a fishing village, which offers perfect weather year-round, arguably the best fishing in Australia, unspoilt beaches and a very cosmopolitan choice of restaurants and bars. For the business traveller, we offer a versatile meeting space that can be arranged into a variety of configurations to seat between 10 and 100 delegates or larger by arrangement. Our full and half day conference packages include room hire, refreshments and lunch. Call to discuss any queries or additional requirements you may have with the Mantarays team, will be pleased to help you to ensure your conferencing success. 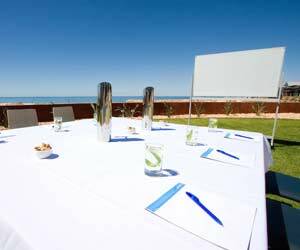 Mantarays Ningaloo Resort's full and half day conference packages include room hire, refreshments and lunch.